Complete the entire look with the matching nightstands, dresser, and chest. The matching set comes in a grey high gloss finish with polished stainless steel legs. 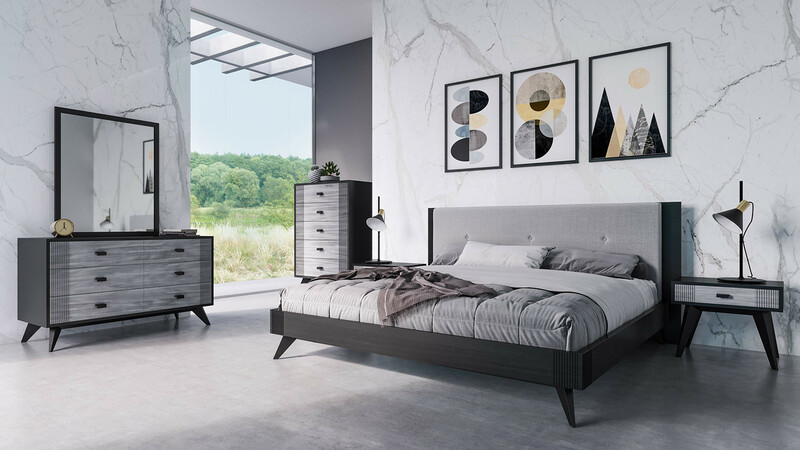 Another option is the Burbank bed, this bed has more of a modern contemporary look. 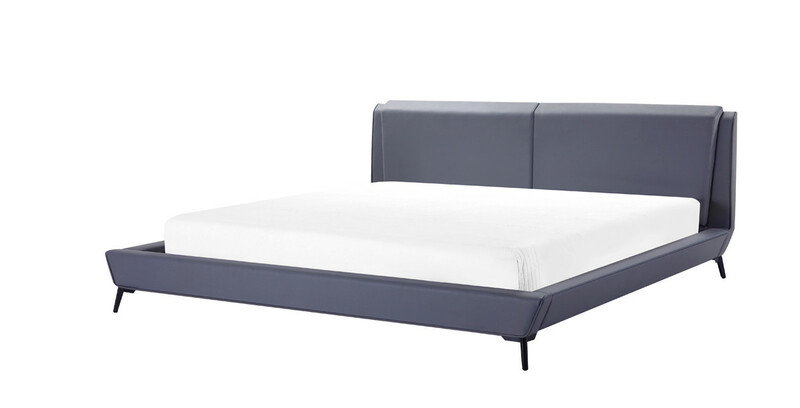 The bed is upholstered in grey leatherette with black metal legs. It is also available in both Queen and Eastern King. This design can look great with color, wood, or glass. 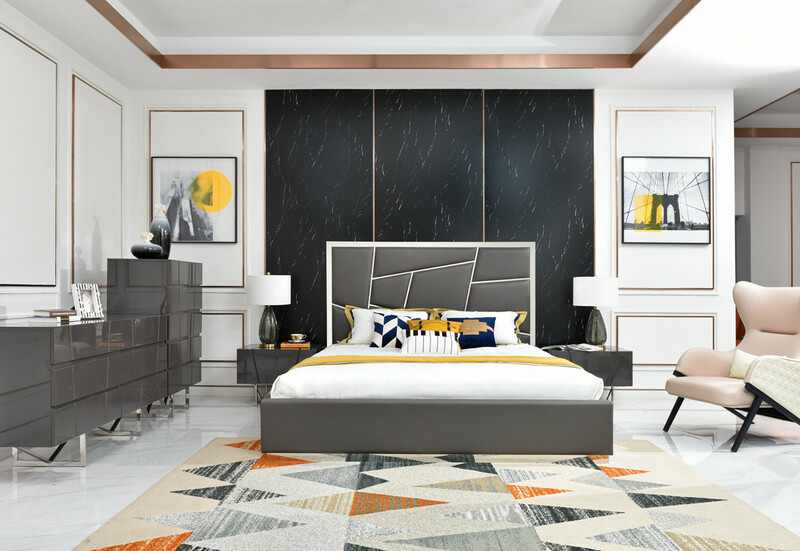 The bed also had matching nightstands that are upholstered in grey leatherette with metal handles and legs. They are fully assemble and include two drawers. If you’re into grey tones and love trendy contemporary designs, then the Panther is the match for you. The headboard is upholstered in grey polyester fabric. The body is made of black ash veneer. This is more of a clean and masculine look, you can keep the rest of the room with cold tones or you can warm it up with some pop colors. The Panther comes in a set so it includes the bed, two nightstands, dresser, and mirror. The matching pieces are made with grey acacia veneer and black ash veneer framing. They have black solid rubber wood legs. Our bedrooms define our personalities and who we are, what style defines you? Are you modern, glam, traditional, or contemporary?